To provide students and staff with educational materials in all forms to improve academic success and support the enjoyment of learning. All students must have a signed permission slip each year to check out books. If a parent refuses to sign the permission slip, a teacher may check out one book for the child to read in the classroom. Materials selected for the library are determined by teacher request, student request, and to support curriculum needs of the school. Other criteria to be used are: age appropriateness of material and reading level. Material ordered by school libraries must be reviewed and approved by the site administrator. Library staff will check material for content and reading level before purchasing. Sites that are recommended are: Scholastic, AR Book Find, Titlewave, and Barnes & Noble. 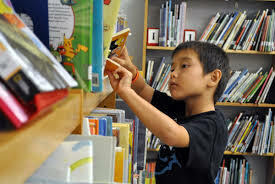 Lost books/material should only limit a child’s check out privileges for one school year. Limited check out privileges include the ability to only check out one book at a time. Lost material will only be recorded on a child’s account for 3 years. After 3 years the material will be taken as a loss. Students are encouraged to check out materials during their scheduled time to the library. Students who need new materials may check out another book, with the teacher’s permission, at any time the library staff is on campus. 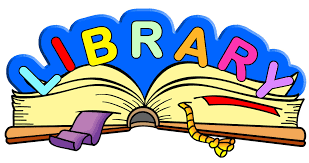 Teachers who need materials from the library must check out materials with the library staff. Materials should not be removed without the library staff’s knowledge. Library staff can pull books for special units of study in a classroom. Instructional staff need to plan in advance when materials are needed. Fictional titles will also support units of study provided by Lancaster School District Educational Services. Students should be exposed to a wide variety of genres including classic and modern fiction. Materials should be age appropriate. Library materials may also include digital resources: visual libraries, music libraries, research collections.